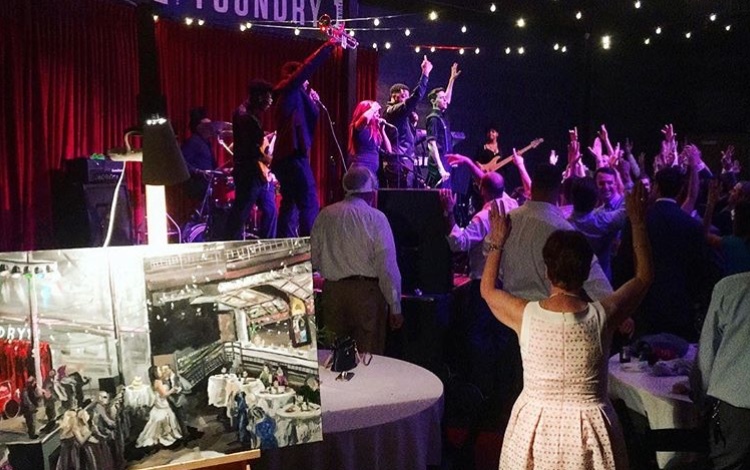 While photographs are a great way to capture your big day, a painting done by a talented artist at your wedding is a one-of-a-kind keepsake you can treasure forever. 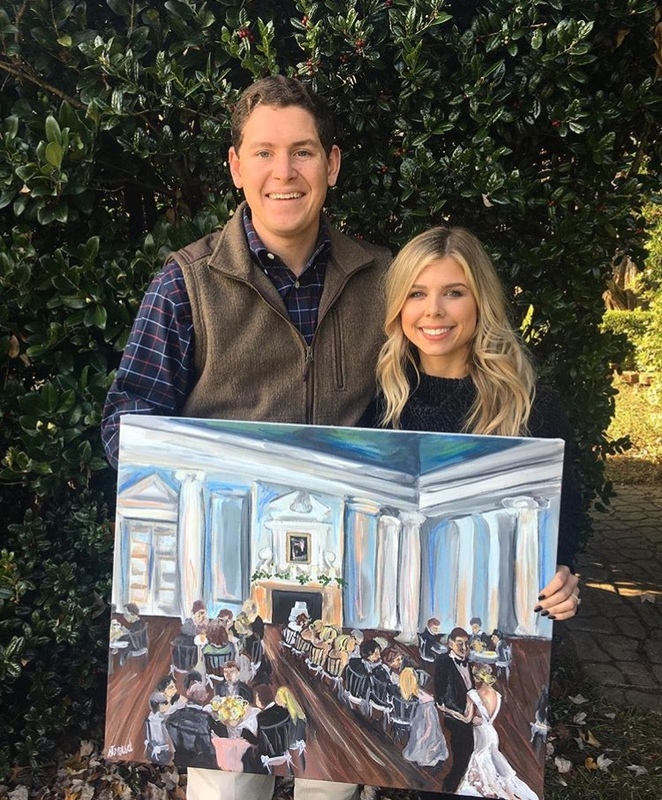 Recent University of Georgia graduate, Caroline Stroud, beautifully captures the magic of weddings through her live paintings. 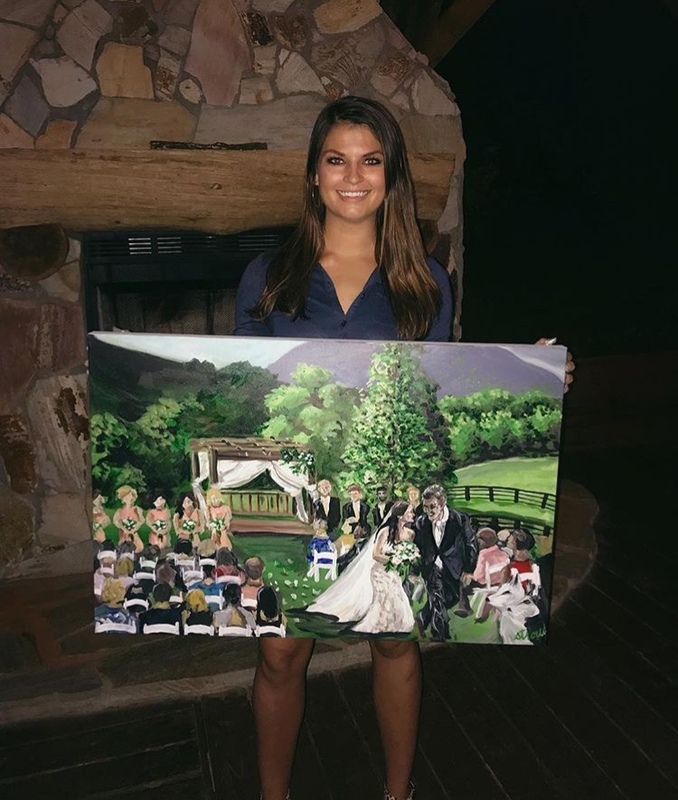 Caroline did her first live painting over a year ago at her cousin’s wedding. After seeing artists on Instagram do the same, she tried her hand at it and found a niche. She works with brides beforehand and gets their vision of what they want her to capture in the painting. “Before the wedding, the bride and I agree on a ‘scene’ that they want painted. These scenes could be the first kiss at the ceremony, the first dance at the reception, etc,” she said. The ability to complete a painting in such a short amount of time is not something every artist can do. “The hardest part about a live painting is the time crunch. I am naturally a fast painter so I felt like this would be a great niche market to try out,” she said. 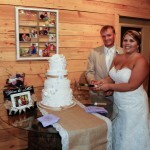 Through her art, Caroline is able to mirror the magic of your wedding day. Her ability as an artist to capture the love and emotion that goes into a wedding is remarkable. “I love translating the happiness in the room between the couple and their closest family and friends into a painting,” she noted. 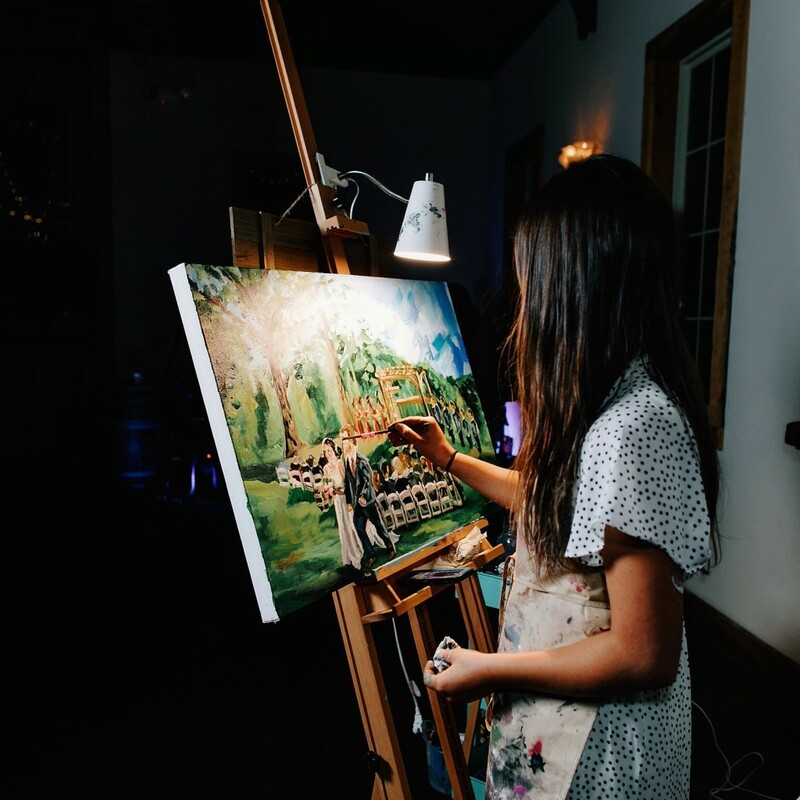 A painting allows the couple and their guests to see a beautiful scene slowly come to life as opposed to just capturing the day in photographs. “In today’s digital age where everything is instantaneous, it is a nice change of speed to be able to witness a painting evolve over the course of a few hours,” Caroline said. 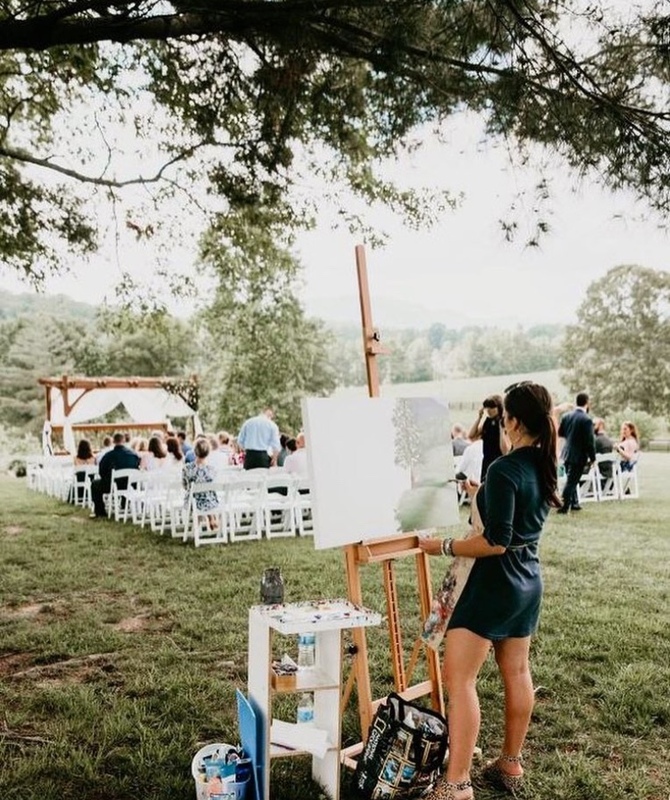 If you’re looking for a way to captivate your guests and have a lasting reminder from your day, book Caroline to paint at your wedding. The best day of your life can be turned into a piece of art that you will cherish forever. 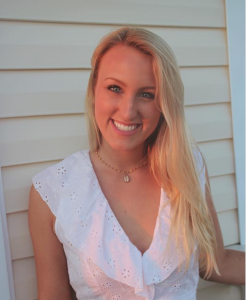 Abigail is a junior Communication Studies major and French minor at the University of Georgia. She is passionate about food and travel and enjoys concerts and writing. Thanks for the wonderful article on my daughter, Caroline Stroud!